My source for publication dates is Goodreads.com and may be subject to change. Happy reading! It’s that time of year again, time to review my year of reading. Honestly, it hasn’t been my best reading year. I don’t want to complain about receiving free books and ARC editions but thanks to my discovery of NetGalley, reading started to feel like a chore. And that’s never a good thing. So I’m determined to cut down on the number of books I sign up for and focus more on the books on my own shelves. Even though I wouldn’t count 2018 as the most enjoyable, any time spent reading is to be appreciated and there are always a few standouts books. For instance? Amy Stewart released another Kopp Sisters novel, the fourth in the series (and there’s another one on the way for 2019! ), Miss Kopp Just Won’t Quit. and she makes my top reads list for the third year in a row. This summer my ever reliable librarian friend introduced me to Louise Miller’s first novel, The City Baker’s Guide to Country Living and when my library got her second novel, The Late Bloomers’ Club, I read that one too. I loved both books and they both make my list. I encountered a few disappointments from some of my favorite writers: Neither Susan Elizabeth Phillips’s Heroes Are My Weakness or Katie Fforde’s Love Letters were the authors’ best works. Though I did enjoy Abbi Waxman’s Other People’s Houses it didn’t quite live up to the hilarity of last year’s top read, The Garden of Small Beginnings. The Best of Adam Sharp by Graeme Simsion, the author of my beloved Don Tillman series, was one of my least enjoyed books of the year, earning my only one-star review of the year. Another front-runner is Jon Cohen’s Harry’s Trees which celebrated two of my favorite things, books and nature, with an enormous amount of heart, a devilish sense of humor, and a dash of adventure. Finally, if awards were given out for best character, Polly from Kathy Hepinstall’s The Book of Polly would definitely get a nomination. There are the highlights of my year. I read some great books but there wasn’t even a competition for my favorite read this year. I pretty much knew what it would be back in March. Harry’s Trees is just so full of hope and love and a darn good story that I knew it was destined to be one of my favorites. Since finishing it, I’ve recommended to everyone and even wrote it in for a Goodreads choice award. These are just a few of the books I’ve read this year. To see the full list and read the reviews, check out My 2018 Year in Books on Goodreads! The problem with adoring an author’s first novel is that they either never write another, leaving you forever wanting more (Emily Croy Barker, I’m talking to you!) or they do write another but no matter how good that second book might be, you inevitably compare it to the one you fell so completely in love with and find the new book wanting. For that, more than the quality of the writing or the story, my rating may be a little lower. Other People’s Houses is a complex, often laugh-out-loud funny, often heart-breakingly honest look into marriage, parenthood, friendship, and the big and little things that go on behind closed doors. Had the story focused solely on the central character, Frances Bloom, and her family with the neighbor characters playing smaller supporting roles, I probably would have enjoyed Other People’s Houses more than I did. Frances is a brutally honest, but kind-hearted (too kind at times) busy mother of three and mother hen to the rest of the neighborhood – children and adults alike. Some of the other characters, particularly Anne, were, despite the big dramas in their lives, boring. The frantic mundanity of Frances’s life was more interesting and much more fun than Anne’s infidelity and the aftermath. As with Abbi WaxmanAbbi Waxman’s first novel, The Garden of Small Beginnings (which you may recall was my top read of 2017) the writing is infused with sparkling, hilarious wit. I found that in Other People’s Houses, with its more adult themes (more adult than widowhood, motherhood, and love??? ), Waxman tended to overuse a lot of profanity that wasn’t always necessary. Using it more sparingly during the most dramatic scenes would have given them more impact. So, though it doesn’t live up to the pure joy of reading The Garden of Small Beginnings, Other People’s Houses is a good, fun yet thought-provoking read for the summer. If you enjoy Other People’s Houses, I highly recommend reading Liane Moriarty’s Big Little Lies, which I think has become the seminal behind-closed-doors novel of our time. There is a something comfortable for you in the life you’ve built, even though you’re deeply sad still, and lonely. It’s a rut, but it’s your rut. This quote from last year’s favorite read speaks to me now as I prepare to make a pretty major life change. Each time the fears creep in telling me I’m making the wrong choice, I tell myself that I must do something to get out of this rut that despite being pretty pitiful is still more comfortable than the unknown of the future. My first exposure to Liane Moriarty could not have gone better. Big Little Lies is both impulsively entertaining and thought-provoking. I can’t wait to read more of her work. The first book in Amy Stewart’s wonderful Kopp Sisters series, Girl Waits with Gun was my top read of 2016 and the third book in the series, Miss Kopp’s Midnight Confessions, which came out this fall, did not disappoint. Harry Potter and the Sorcerer’s Stone is not in the running for top-read since this was my second reading of the first book in J.K. Rowling’s blockbuster series, but it was still a high point in my 2017 reading. It’s always nice to visit an old friend. 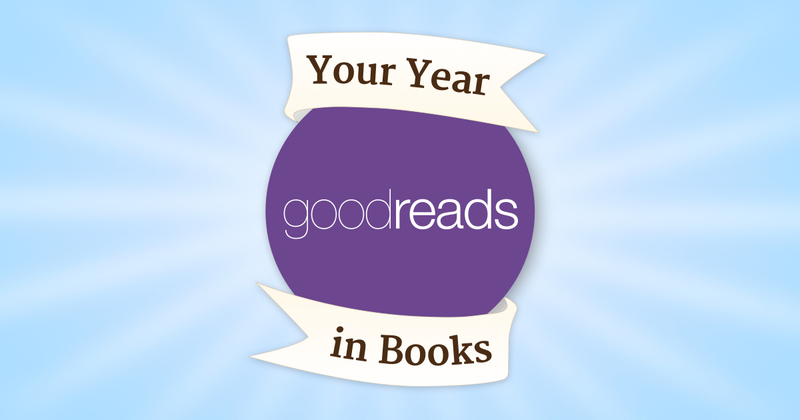 Not only did I enjoy Sophie Kinsella’s My Not So Perfect Life but so did many others as it was one of the finalists for Goodreads.com’s books of the year. BBXX: Baby Blues: The First Two Decades became a welcome addition to my collection of comics anthology. Not only did I laugh out loud at Rick Kirkman and Jerry Scott’s hilarious comic strips but I learned quite a bit about the behind-the-scenes of comic strip creation. Abbi Waxman’s debut novel, The Garden of Small Beginnings was one of the most hilarious and heartfelt novels I’d read in a long time. I loved it so much that I told all my reader friends that they had to read it. I don’t often do that. Kelly Harms’s The Good Luck Girls of Shipwreck Lane is The Garden of Small Beginnings main competition for top-read this year. They each had a wonderful sense of humor, a whole lot of heart, and lovable characters. In the end, though, I think I’ll give the honor of top-read to The Garden of Small Beginnings simply because I want to spread the word about this delightful novel about a widow raising to precious and precocious little girls even further. Waxman’s second novel is coming out in 2018 and I hope that I’ll be sharing another wonderful review for her in the coming year. Check out My 2017 Year in Books on Goodreads! And I wish you all happy reading in 2018. Happy New Year!